In two years of inquest evidence, a detailed picture has built up of how an FA Cup match at Sheffield Wednesday's ground turned into a disaster that claimed 96 lives and left hundreds more injured. The jury was shown CCTV and other footage and heard testimony from hundreds of witnesses. Ben Schofield reports how events on 15 April 1989 unfolded. You can read a text version of this report here. 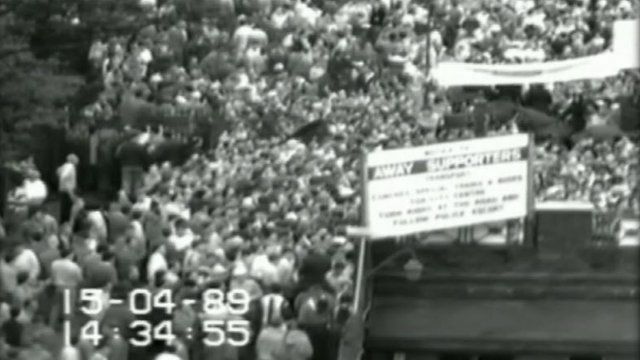 How a crush at a FA Cup semi-final between Liverpool and Nottingham Forest developed, leading to the deaths of 96 football fans.